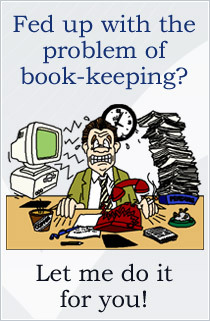 Allum Book-Keeping Services provide a professional payroll bureau in Dorset service for business in Weymouth, Dorchester, Portland, Bridport, Lyme Regis, Beaminster, Sherborne, Shaftesbury, Gillingham, Blandford Forum, Poole, Bournemouth, Christchurch, Ferndown, West Moors, Wimborne Minster, Swanage, Wareham and the surrounding areas. Payroll services can be a headache for small business owners. With ever changing employment and HMRC legislation, cost of software, traning, real time information started April 2013 and the pension automatic enrolment, it can suddenly take a huge amount of time and effort. It makes sense to outsource your payroll services in Dorset. Allum Book-keeping services will consult with you and set up or review your current payroll system. We will make sure it's adequate for your business, but most importanantly that it's easy for you to administter and understand. It is our aim to make the payment of your employees as trouble-free and stress-free as possible. Our payroll bureau service is aimed at making life easier for small businesses. Running a small business is no easy task; We can remove the worry and hassle of your payroll administration. Notification of the required payment will be sent direct to your company. We charge a monthly fee (based on the number of payslips calculated), and then look after your payroll administration for you. If benefits in kind are involved we offer a separate service with an all inclusive price.